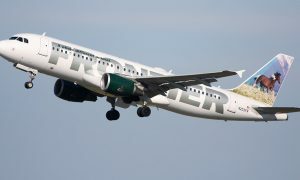 The Air Line Pilots Association, Int’l has filed a grievance against Frontier Airlines that will lead to arbitration, demanding that the company negotiate new pay rates under an agreement reached in 2011 where Frontier pilots sacrificed $55 million in pay and benefits to save their airline. “Our airline was on the precipice of failure when Frontier management sought our leadership to instill confidence with other key stakeholders. We stepped up and demonstrated our resolve and commitment by agreeing to significant financial concessions, which we specifically structured as an investment to ensure Frontier pilots would share in the future financial rewards of a successful Frontier Airlines. Now, with the company reporting record profits, they’re reneging on that deal,” said Capt. Brian Ketchum, chairman of ALPA’s Frontier Master Executive Council. Under the July 2011 letter of agreement, known as LOA 67, the pilots agreed to a reduction in 401(k) matching contributions, sick pay, and vacation accruals; deferral of scheduled pay increases; and a two-year extension to the collective bargaining agreement. In exchange, Frontier management agreed to return a substantial portion of future profits to the employees who sacrificed during the restructuring. Then-CEO Brian Bedford said the pilots’ sacrifice was a “watershed event” and the “linchpin” that saved the airline. 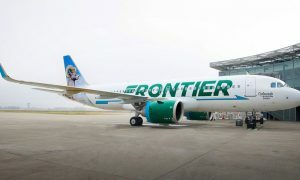 Now that Frontier’s profit margin is among industry leaders, the company and its private owners, Indigo Partners, have refused to negotiate in good faith, and have declined to provide financial information supporting their claim that the airline is currently operating in a challenging economic environment and that business conditions do not permit them to offer pay increases at this time. ALPA’s grievance seeks to enforce the pay-increase provisions of LOA 67. Under this agreement, the company was required to negotiate separately for pay increases once it recorded pretax profits of 5 percent or more in two consecutive years. The company is now enjoying a third straight year of pretax margins substantially higher than 5 percent, and is among industry margin leaders. 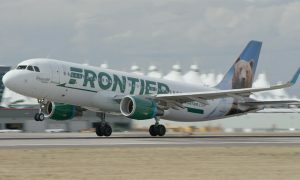 The airline’s current CEO, Barry Biffle, bragged to the Denver Post in July 2015 that Frontier “made more in the last 10 months than we’ve made in the previous 10 years combined.” The airline also paid out substantial dividends to its owners and significant bonuses to senior management earlier this year. “We did not invest $55 million in cost savings to Frontier for free. We demanded and negotiated a future return on that investment when the company became profitable, in the form of equity ownership and increased compensation. The company is now attempting to shirk their responsibilities to this pilot group who saved the airline from ruin,” Ketchum said. The pilot union chairman said ALPA intends to aggressively pursue the grievance to require management to honor its commitments to the Frontier pilots.